Wireless fNIRS - Cortech Solutions, Inc. The Brite is a user-friendly, plug-and-play NIRS device with almost no set-up time. It works with multi-wavelengths LED’s, giving you continuous and real-time feedback in our data analysis software that is delivered with the system. It has a sample rate of 50+ Hertz. Truly portable and covering e.g. the prefrontal cortex, motor cortex or visual cortex. Measures oxy-, deoxy- and total hemoglobin concentration changes. 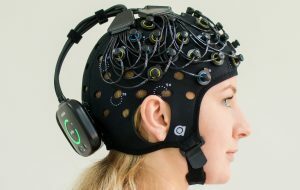 Can be combined with other techniques such as EEG and tCDS. Easy analysis of your data with our superior analysis software; Oxysoft. Bluetooth connection or offline recording with a high sample rate. Compatible in parallel usage to achieve 54 channels. With the Brite system, you can make different templates, for example, 23 channels to cover the frontal cortex, 2×12 channels on the motor cortex, or 27 channels on the visual cortex. Short distance reference channels are also possible. The soft neoprene head-cap and the portability of the system make monitoring the brain oxygenation status of elderly, children and vulnerable patients especially comfortable and easy. Hyperscanning (monitor multiple subjects at the same time) can easily be done because our software makes it possible to combine different Brites, or even one of our other NIRS devices within one data stream. Subjects are even able to perform physical activities like walking and running while the device is connected with a long-ranged antenna Bluetooth to the laptop. The Brite has an integrated 9-axis movement sensor. It perfectly complements with our other portable NIRS devices e.g. for measuring muscle oxygenation. This makes it the most suitable fNIRS device for athletes currently on the market. 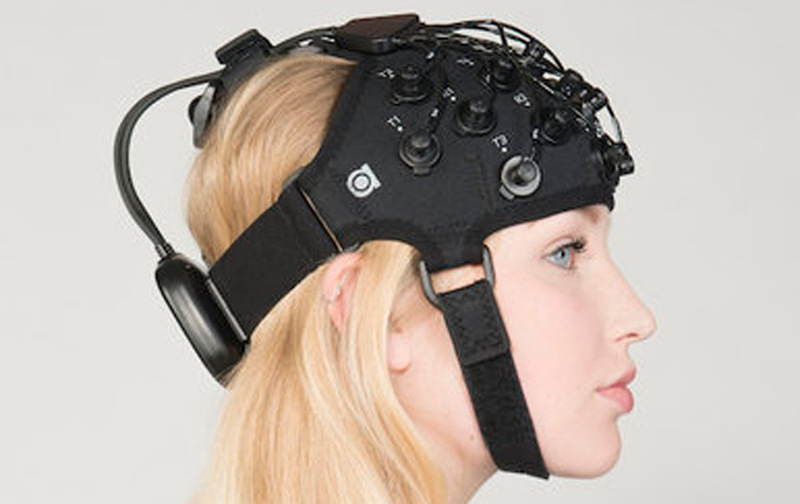 The OctaMon (optimized for prefrontal measurements) and the OctaMon+ (applicable anywhere on the head) are ideal for capturing brain activity while having the freedom to perform daily activities including exercise. Like the PortaLite, the OctaMon measures changes in oxygenation in terms of oxyhemoglobin, deoxyhemoglobin, and total hemoglobin. This device can be applied in a variety of dynamic settings as often required in neuroscience and sports science research. With the OctaMon, we focussed on the usability and portability of NIRS while still providing the same quality of data as measured by large NIRS systems. The OctaMon is a very lightweight and plug and play device with close to no set-up time. It works with multichannel LED’s, giving you continuous and real-time feedback in our data analysis software that is delivered with the system. The OctaMon research package makes monitoring oxygenation easy and accessible. Hyperscanning (monitoring multiple subjects at the same time) is also possible with the OctaMon, while our software provides you to combine different NIRS devices within one data stream. The subjects are able to perform physical activities like walking or running, while the device is connected to Bluetooth (up to 100 meters range) to the laptop. The OctaMon is ideally suited to investigate cognitive functions, especially during dual tasking (for example combined with driving or walking). The prefrontal brain regions are in particular studied in working memory or attention tasks, but is also of particular interest for studying neuropathological disorders such as Alzheimer’s disease or ADHD. This is because of its strong interconnection with deeper brain regions, such as the basal ganglia. The headband covers a large area of the brain so it could also be used for detecting epileptic seizures. The OctaMon has a very comfortable headband and flat optodes to maximize comfort. For all other measurements, we have the OctaMon+ that has been optimized to measure through hair. It has a head cap covering the complete brain so give you maximum freedom on where you want to place the optodes. This is commonly the visual, motor or parietal cortex. But of course, it does not need to be limited to this!